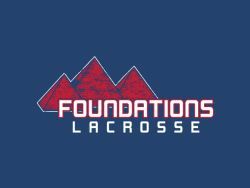 Website for our own Boston Cannons! Support the Cannons with the purchase of season tickets or by attending individual games. They are great fun to watch in a great setting at Boston University's Nickerson Field. Brine manufactures lacrosse equipment and apparel. Brine Sports is America's oldest family run sporting goods store right in the heart of Sudbury. They provide, among other items, lacrosse equipment and apparel. Youth Lacrosse Camps and Clinics held every summer in Sudbury. High School Prep Lacrosse Camps and Varsity Lacrosse tournaments. A general information site for lacrosse news around the country. LaxPower - A general information site for lacrosse news around the country. The TPL is the league that LS Youth Lacrosse participates in.